A few years ago my husband and I went on a mini vacation to Miami, and on the night before we went back home we had dinner at a romantic little Argentinian spot by the beach. We ordered a big grilled steak with chimichurri to share and drank lovely red wine and it was hot and muggy and the whole thing felt incredibly indulgent and special–just like a vacation should. What I didn’t realize at the time was that a grilled steak with chimichurri is one of the easier dishes you can make at home. 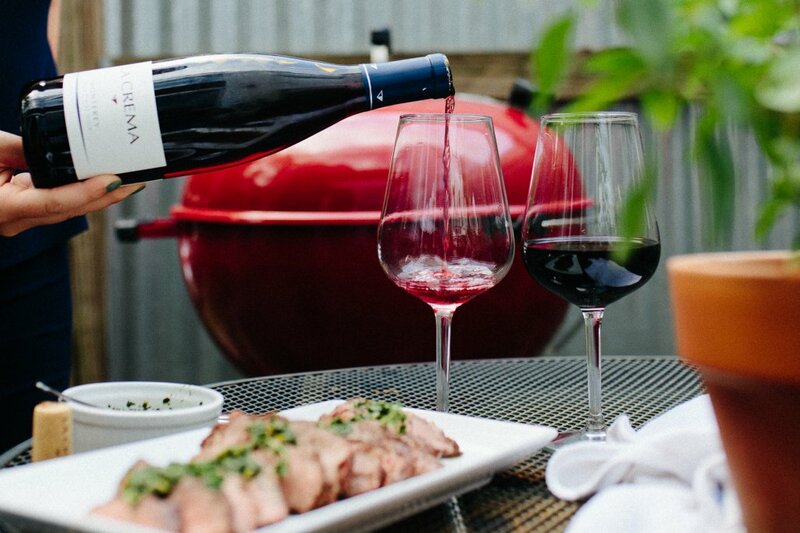 And to celebrate the start of BBQ season AND National Wine Day, all you need to make this meal exceptionally perfect is a glass or two of La Crema’s Monterey Pinot Noir, and perhaps a side of roasted potatoes, a freshly toasted baguette or a side salad. This dish is easy to execute for a group of friends and the perfect meal to kick off the weekend. Grilled steak with chimichurri is a special meal that you can throw together in 30 minutes or less, which is always a big win in my book. Even more exciting is that you really only need a handful of ingredients: a nice piece of steak, garlic, a couple of herbs, some red wine vinegar, olive oil, and a few seasonings. 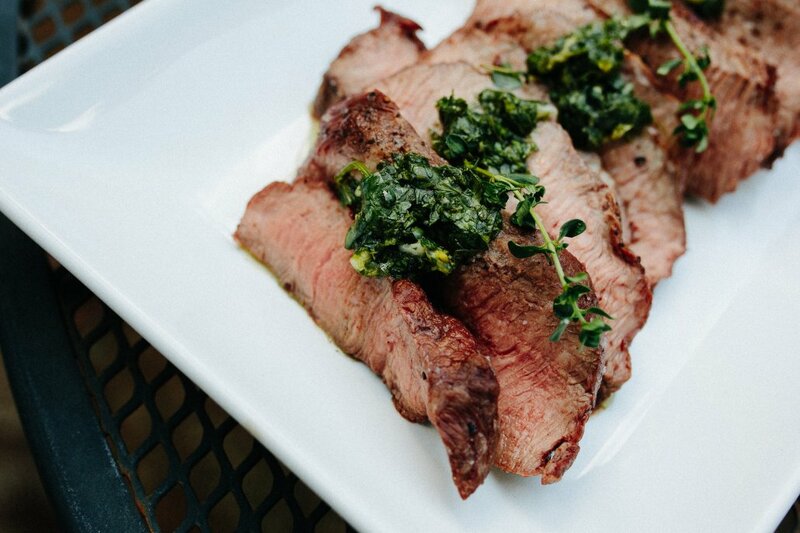 I absolutely love the combination of hot, juicy steak and garlicky, herby chimichurri. It’s a quick but delicious dinner to celebrate summer being on its way–whether it’s at a Memorial Day cookout or on a busy weeknight. Take your steak out and allow to come to room temperature, if time allows. In the meantime, combine oregano with hot water in a bowl and stir. Allow oregano to soften. In a food processor, pulse parsley and cilantro together. Add the garlic and red wine vinegar, plus the oregano and water mixture. Add salt and continue to pulse until combined. Turn food processor back on and stream olive oil in. Transfer sauce to a bowl. Heat a grill or grill pan over medium-high heat. Season steak with salt and pepper. Grill steak for 3-4 minutes per side for medium-rare, depending on thickness (longer for a more well-done steak). Remove from heat and allow to rest for at least 10 minutes before slicing. 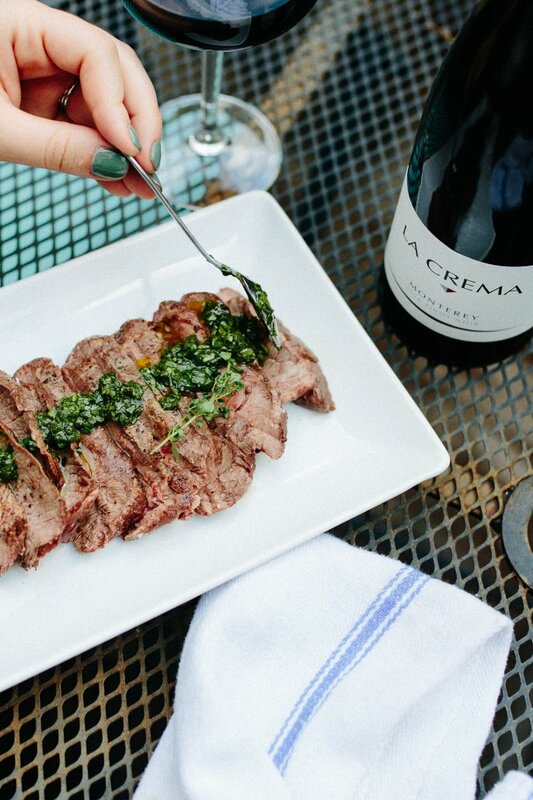 Serve hot with chimichurri and a glass of La Crema Monterey Pinot Noir. 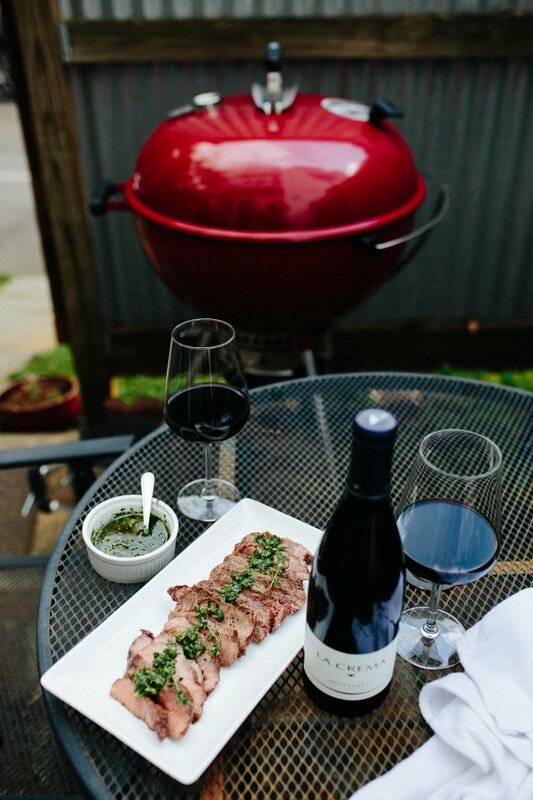 Special occasion or not, a grilled steak with fresh chimichurri drizzled overtop is definitely going to be joining our recipe rotation this summer–we’re always looking for unique recipes that pair well with wine and can be prepared and enjoyed outside. What more could you want? 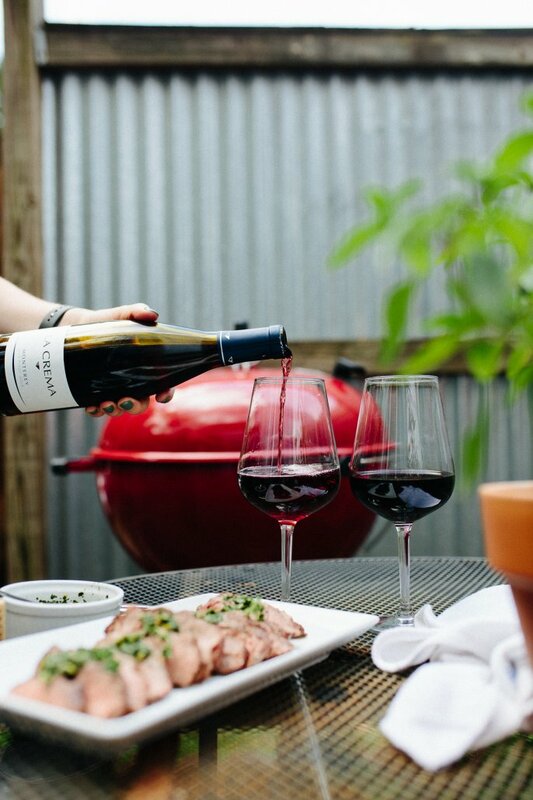 Happy grilling, and happy National Wine Day!